When outsiders look in at the church, they often view Christians as people of “The Law.” They the fire-and-brimstone preacher on Polyanna, all that we have are more laws, rules, and regulations to give people. But is that true? Is Christianity primarily a rule-based faith, or is there something else that characterizes our belief system? Check out the video below to find out more about our newest sermon series on the book of Galatians. Starts 4/15/2018. If you’re in the Princeton area, you’re always welcome. Come join us! Bunker Hill Church is part of the larger family of the Church of the Lutheran Bretheran. The CLB denomination serves churches all over the world! 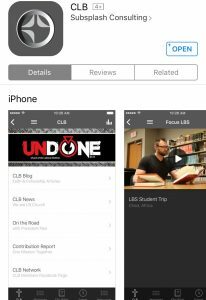 Available on the App Store for iPhone and iPad, the CLB app is a convenient way to stay connected with our church family across America and around the globe. 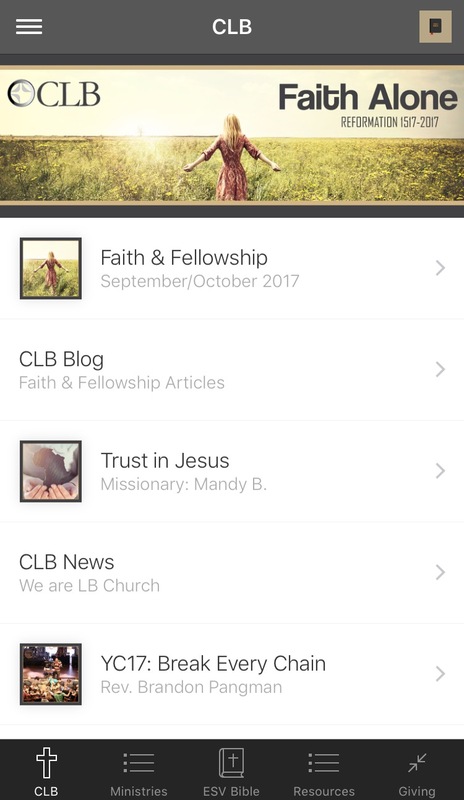 The app features links to church resources, missions updates, and prayer requests. Search for “CLB” on the App Store and start exploring what God is doing through the Church of the Lutheran Brethren!